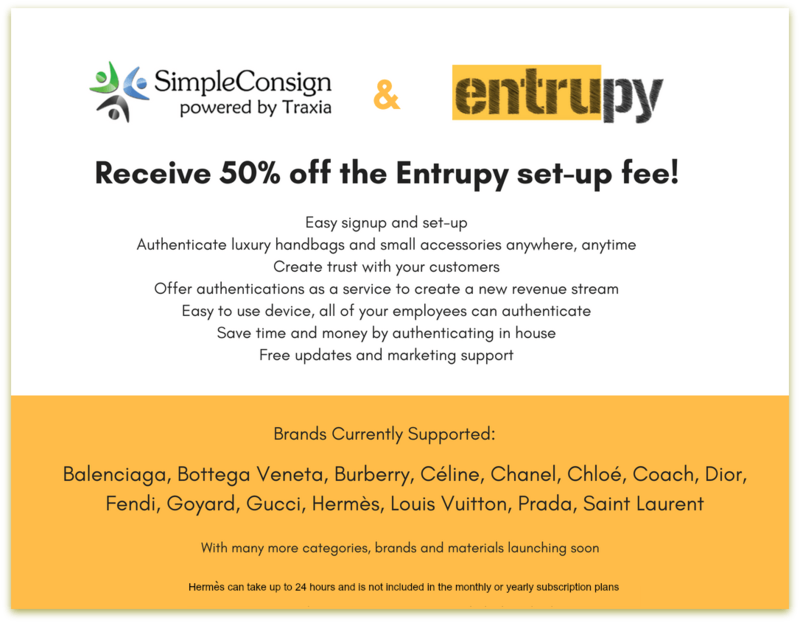 50% discount on Entrupy’s set-up fee for SimpleConsign users! 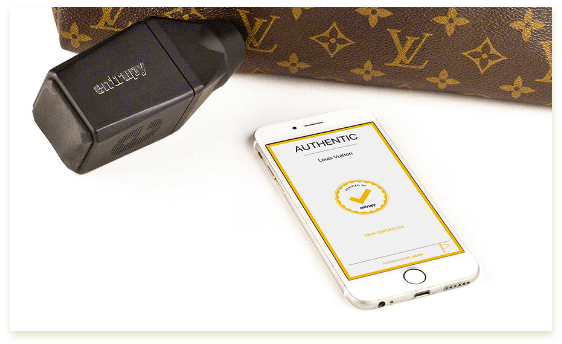 Entrupy’s unique technology gives you the power to authenticate luxury handbags and small accessories anywhere, anytime. Their aim is to bring luxury handbag authentication in-house so that you never have to turn an item away. Plus, Entrupy provides a financially-backed guarantee for every authentication issued and has a 98.5% accuracy rate. Be confident when you accept or sell a handbag. Don’t leave anything to chance.